Florida artisan Laurie Landgrebe struggled to find a quality, healthy breakfast to supplement her morning workouts, to her everything felt so redundant regarding flavor. What started as homemade Christmas gifts soon blossomed into a business in 2011 with a healthy, delicious product Laurie could stand behind. Before starting her business, Laurie worked in sports and entertainment marketing and even had a sales and marketing position with the Miami Dolphins. While she always had a passion for cooking and artisan made products the idea for her business didn't start until she saw a need for a gourmet granola recipe. Specifically, Laurie was looking for a granola that consisted of superior quality, was low in sugar and delicious, but was also unique from anything found on grocery store shelves. Without giving it much thought she made batches of granola as Christmas gifts for friends and family, and it was an instant hit. She quickly realized she was on to something and decided she could create gourmet granola with comprehensive flavors. Laurie started selling her granola at local farmer's markets. Today, she features over thirty seasonal and featured flavors and still participates in about twelve farmer's market a week. Laurie's Pantry is committed to using pure ingredients that are locally sourced and preparing everything by hand. She starts by hand mixing all of the dry ingredients needed for the recipe (grain, nuts, seeds, etc.) while all of the wet ingredients (oils, sweeteners, etc.) are mixed separately. After being mixed separately, all of the ingredients are combined, blended, and baked for about an hour and a half. The mixture is then laid out to cool before adding the dried fruit. Once the recipe is complete, Laurie jars and labels each batch by hand in recyclable mason jars. Laurie says some of the most challenging aspects of creating her product are obtaining natural quality ingredients. 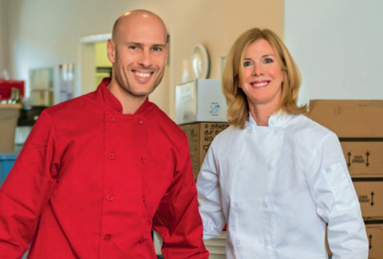 With just herself and her boyfriend running Laurie's Pantry, they work to keep their process consistent and continue to create a product that exceeds quality. Laurie's Pantry is also extremely community driven with certain flavors explicitly designed for charitable support, such as The Pink Panther which donates money to Breast Cancer research. As a sustainable company, Laurie's Pantry also offers rebates on returned granola packaging. When asked what flavors she enjoys most, Laurie recommends the Tropical Sunrise or Basic Breakfast flavors. 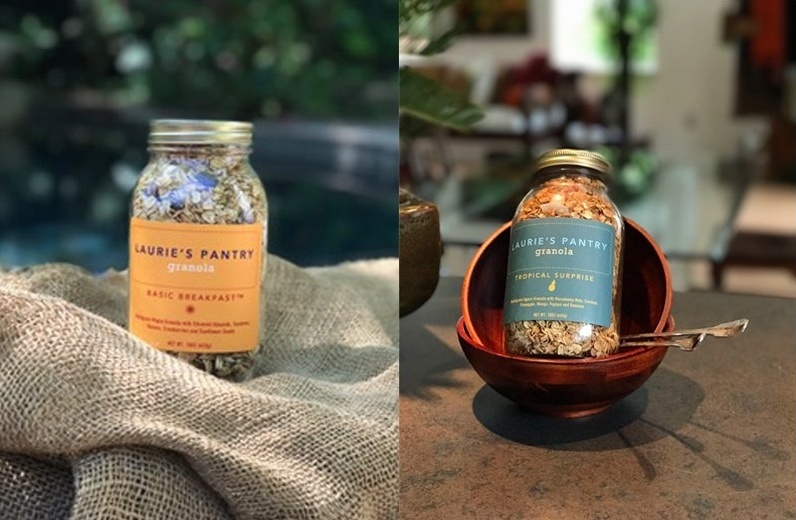 Laurie's Pantry gourmet granola is the perfect on the go gift for all of your event attendees. Shop from Laurie's Basic Breakfast, Tropical Sunrise, and Health Nut granola flavors on Artifact's website.